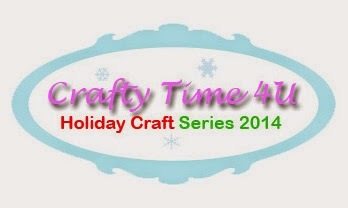 Hey Everybody, welcome to day 19 of my holiday craft series! I hope you are so ready for Santa as my son is, he had made the cookies and mom had made up the setting for the cookies and milk. My son made this cookies "all by himself" just the way he likes it, and he decorated them as well. Now I am not garantee you the taste of these cookies but, but I can assure you that Santa will love them, because they were made with lots of love and dedication, and my son had lots of fun making them! I made a goodie bag, so Santa can take some cookies to go, since he will have so many to eat that night and a special decorated milk bottle. I hope you you'll like it! Cookies and milk stamp set and coordinated dies, scallop circle stackables, goodie bag die, stitched circle stackables dies, papers from the snow day collection, the "Santa" word from the Cozy Christmas stamp set, all by Lawn Fawn. Nice project to make with kids, I have my nephew this Xmas, probably I make cookies too, he love make cookies with me hahahaha I'm the cookie's aunt hahahaha.